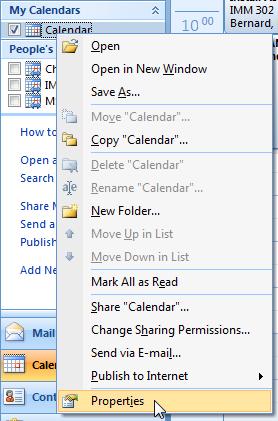 This document is intended to assist in sharing a calendar and connecting to a shared calendar with Outlook 2007. 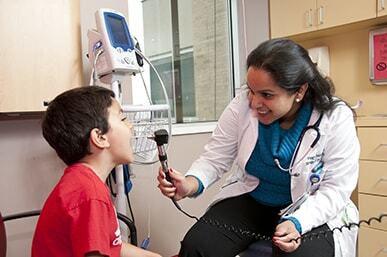 The instructions below assume that you are connected to the UTHealth network and logged onto the UTHOUSTON domain with your user ID and password. If you are unsure whether your computer meets these requirements, please contact your LAN Manager. 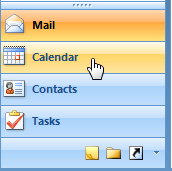 Open Outlook and click on the Calendar button in the lower left. On the left you will see a list of calendars. Right-click on Calendar under My Calendars and click Properties. 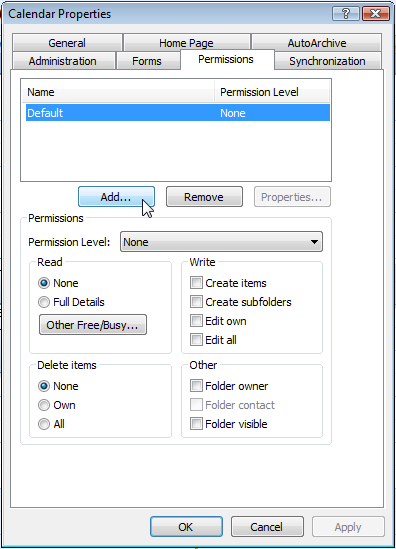 Click the Permissions tab, and click the Add… button. 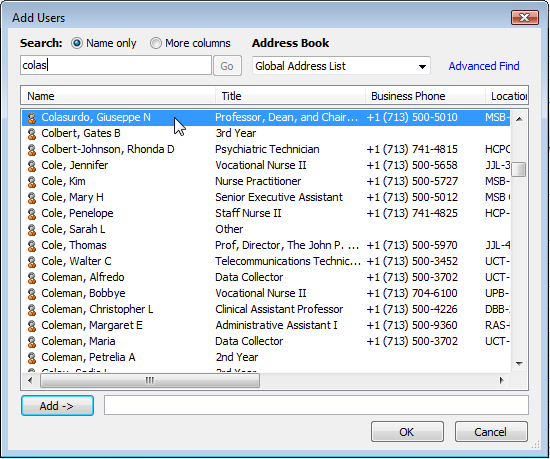 In the search field, begin typing the last name of the person to which you wish to give access. 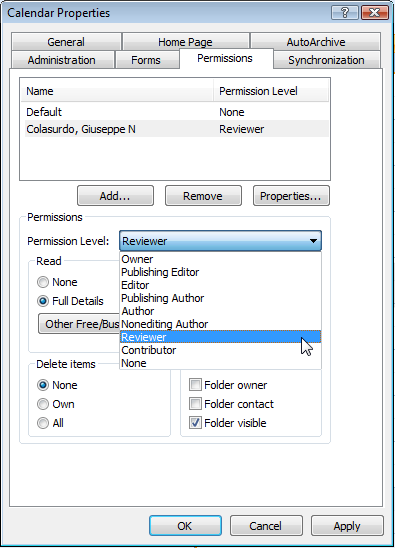 When you see the person’s name in the list, click on it, then click the Add → button, then click OK.
Back in the properties window, you can choose what level of access the person will have either by selecting a preset from the Permission Level menu or by manually changing the various permission settings. Click OK when finished to save your changes. 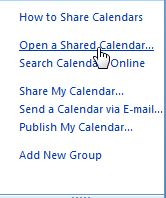 Click the Open a Shared Calendar… link on the left. 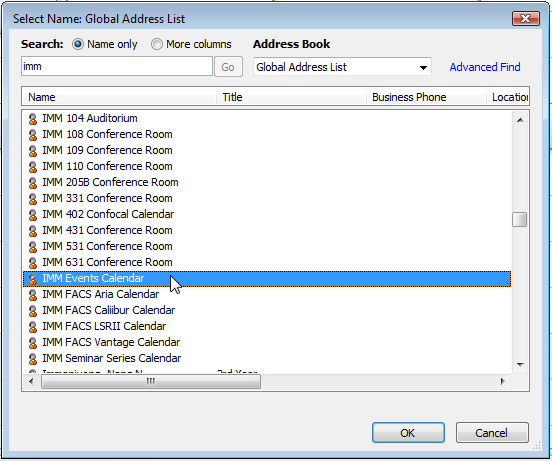 In the search field, begin typing the name of the calendar or the last name of the person whose calendar you wish to view. When you see the calendar or person’s name in the list, click on it, then click OK.
You can use the checkbox next to the calendar name to toggle it on and off in the main window.